THE MAGPIE SALUTE are pleased to announce their debut studio album HIGH WATER I will be released on Friday, August 10th via Eagle Rock Entertainment (U.S.), Mascot Label Group (Europe/Australia/New Zealand) and Sony (Japan). The band–Rich Robinson, Marc Ford, John Hogg, Sven Pipien, Matt Slocum and Joe Magistro–are launching HIGH WATER I with the first single “Send Me An Omen,” in which the twang of a hummable riff roars under Hogg’s towering delivery before spiraling into an entrancing melody punctuated by gang harmonies and butter smooth solos. “‘Send Me An Omen,’ to me, wraps up all of the elements of this band,” says Robinson. “There’s pure rock ‘n roll juxtaposed with these pop melodies sung with a melancholy that creates this beautiful balance of surreal dark and light.” The track will be available on all major streaming and download sites beginning this Friday, June 8th. 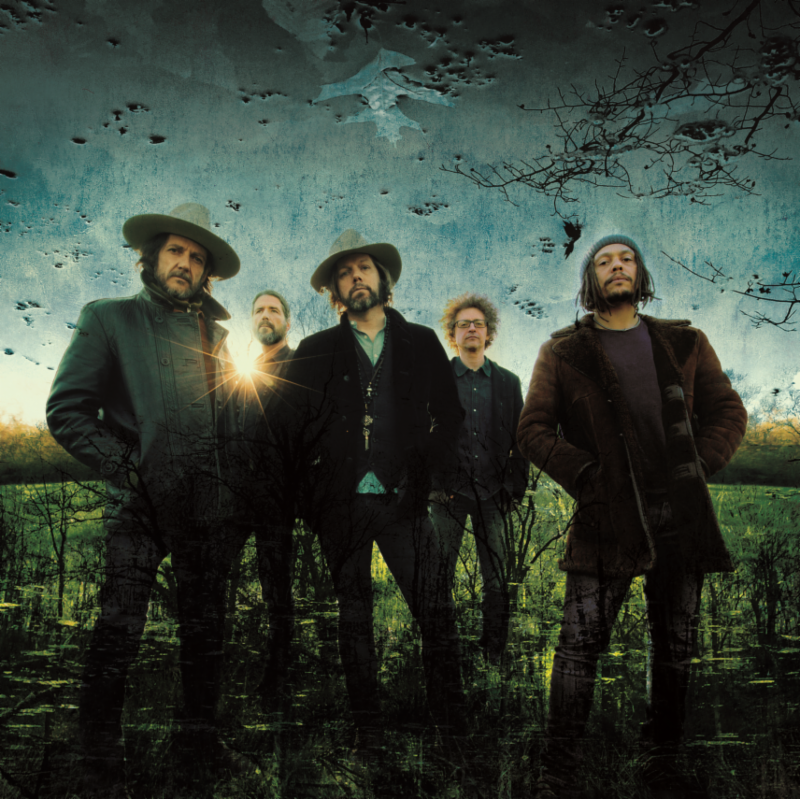 Produced by Rich Robinson and recorded at Dark Horse Studios in Nashville, TN, the 12-song HIGH WATER I represents a musical union of swaggering rock ‘n’ roll, psychedelic blues, and campfire-worthy storytelling that first took flight in 2016 when Robinson assembled the band for a now seminal Woodstock gig. The group went on to sell out four consecutive nights at The Gramercy in New York City in January 2017 chronicled with a historic Guitar Player cover featuring the two six-stringers. By the top of 2018, the band delivered a total of 77 seismic sets worldwide comprised of a 170-song repertoire of covers, Black Crowes’ tunes, and solo material. Acclaim came from Guitar World, Relix, and more, while Rolling Stone summed it up succinctly as “Explosive.” A second new studio album HIGH WATER II will be released in 2019. Details to come on that at a later date. THE MAGPIE SALUTE will hit the road this summer with a number of headlining shows and festival appearances along with shows alongside Govt. Mule, The Avett Brothers and Blackberry Smoke. See below for the band’s full confirmed itinerary through September, with more dates to be announced. For more information and to purchase tickets, click here.